We are now one week away from the AIA National Convention! 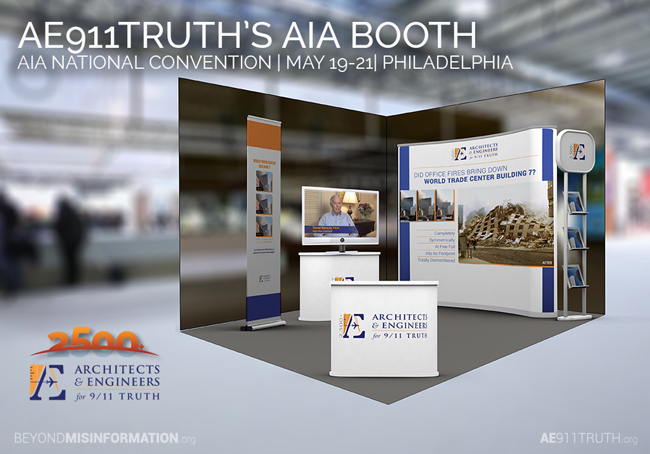 Next Thursday through Saturday, we will be at the Pennsylvania Convention Center in Philadelphia, informing thousands of our fellow architects about the destruction of WTC 7 and advocating for the passage of Resolution 16-3. 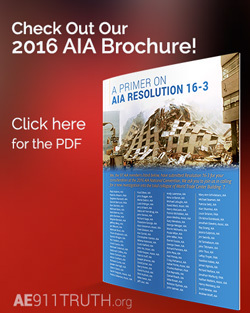 This is the second year in a row that AIA members affiliated with AE911Truth have submitted a resolution calling upon the AIA to officially support a new WTC 7 investigation. 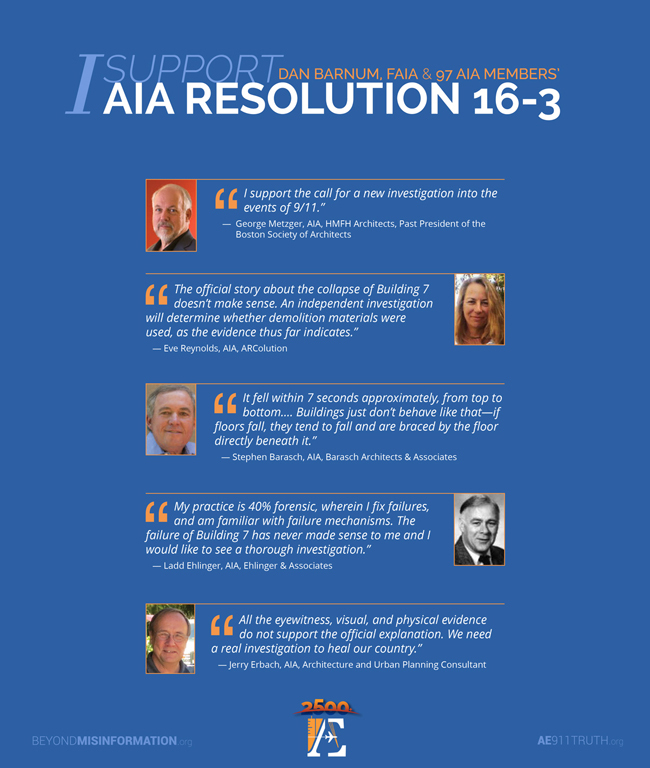 A huge thank you to the 97 AIA members who had the courage to stand up and support this resolution. We know from last year that winning won’t be easy. Whatever happens, the important thing is that we continue to chip away at resistance until the architecture community is ready to support a new investigation. That day will come — as long as we refuse to give up. 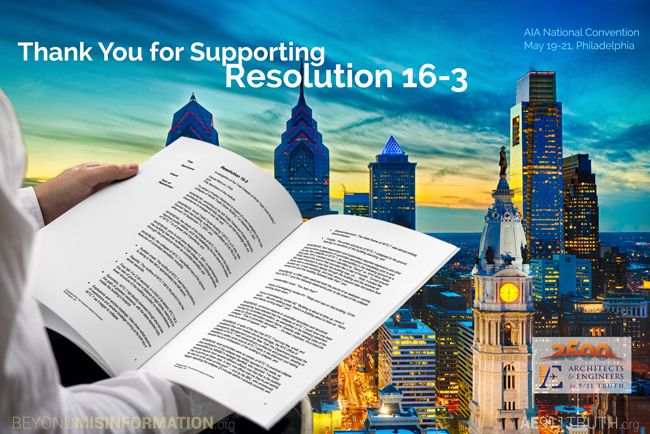 A big thanks to everyone who donated so generously to make our campaign for Resolution 16-3 possible — and to everyone who has supported AE911Truth throughout the years. We reached our fundraising goal on the final day, thanks to your incredible generosity and determination.